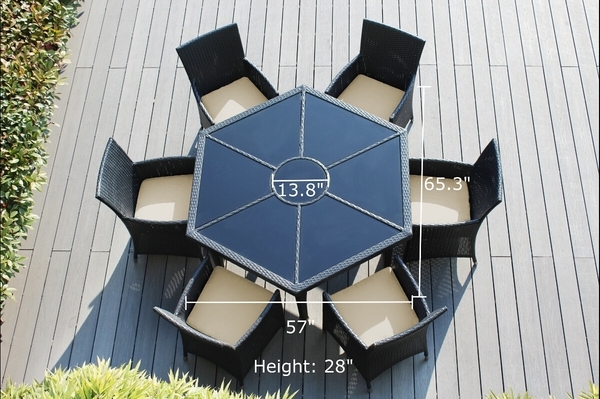 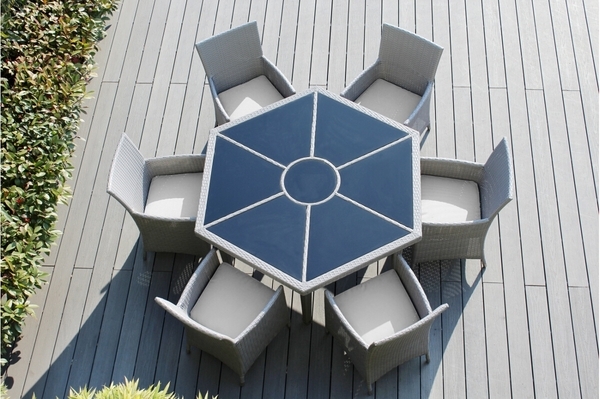 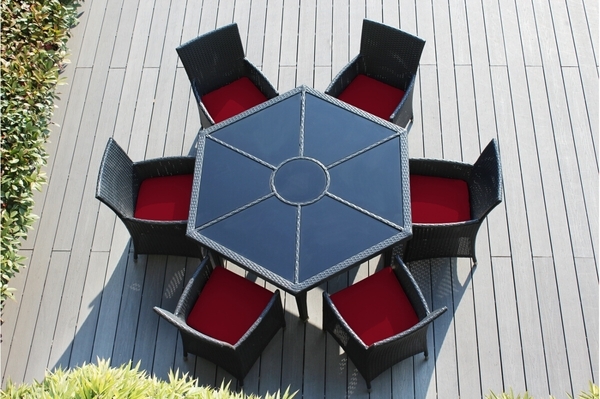 Ohana 7-Piece Outdoor Dining Set features a hexagon-shaped ( Round Dining )table with ample space for your next gathering. 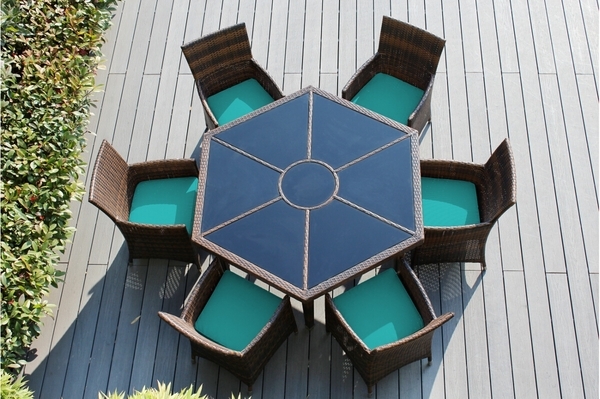 Dining table is constructed with top quality PE resin wicker handwoven around rust-free powder coated aluminum frame and topped with tempered glass for safety. 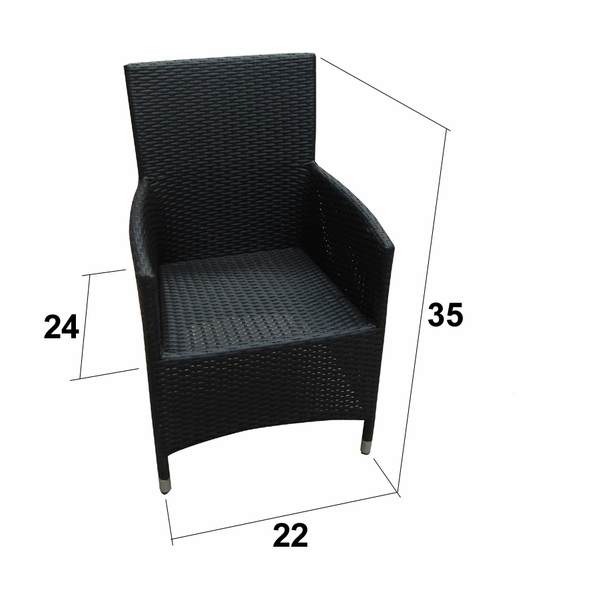 Weather resistant cushions are comfortable and easy to remove for cleaning. Designed to be enjoyed all-season, this dining set is perfect for creating a beautiful outdoor area you can enjoy.